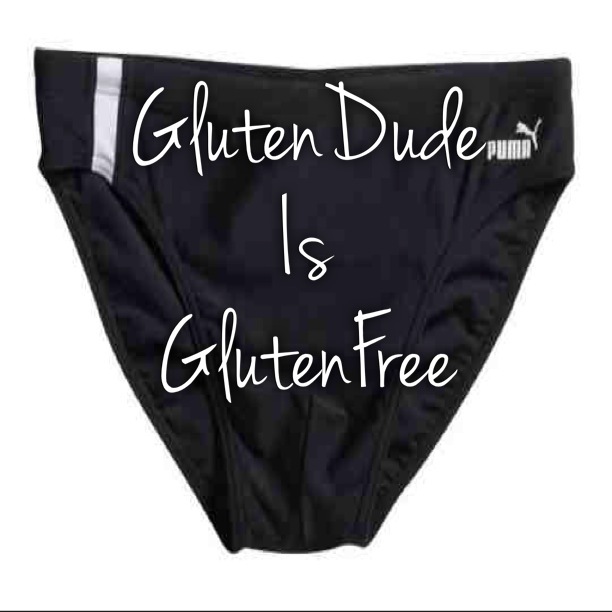 You all know the GlutenDude… he’s that shy, introverted, Celiac Disease activist we all love and sometimes love to hate. He’s honest and it’s that kind of straight up honesty that stirs the pot, gets people’s attention and angers some. Most of the time though, the only thing that gets people’s attention are those three things. What’s his take on his outspokenness? I’m very passionate about our disease and the misconceptions of it in a lot of the public eye. And the only way to get my message across is to be strong about it. Not obnoxious, but strong. Yes…it’s a fine line I walk and sometimes cross over, but I know I’m reaching people and that’s all that matters to me. I’m blessed with an awesome family. Mrs. Dude is the best support system a guy can ask for and my kids are acutely aware of my disease, are very concerned about my health, are supportive of me and are as careful with their food as two teen girls can be. So Dude, what is your favorite thing about being Gluten Dude? Hmmm…starting off with a tough question I see. If I had to pick one thing, I’d say it’s being a voice that matters; that helps people. I’ve always wanted to make some kind of difference in people’s lives on a somewhat large scale. I never had that chance until I created my blog. Why did you decide to create the Dude? For the money and the girls of course. Just kidding. I was filling a void; both in my own life and the celiac community. There were hardly any gluten-free blogs out there from a male perspective and many of the blogs I was reading didn’t talk about how difficult and frustrating the disease was. Many of them “celebrated” the gluten-free lifestyle. Good for them but that certainly wasn’t me. And I figured there must be more people out there feeling the same way. And there certainly was! Can you tell me when you were first diagnosed with Celiac & the challenges you faced with other illnesses leading up to that dx? I was diagnosed in October of 2007. All I could think about was the food that I could no longer have. My focus was not on my health, but on what I would miss out on. Not the best attitude I admit, but at the time, that’s what I felt (and still do once in a while by the way). Six months earlier, I was diagnosed with bladder cancer. And a year later, suffered pulmonary embolisms (blog clots) in both of my lungs. I just figured at that point I wasn’t long for this world. Yet here I am…strong as ever. When you were diagnosed, had you heard of gluten free or celiac disease? What is your biggest pet peeve about the gluten free world we live in today? That it’s been tied to a ridiculous trend which means we don’t get taken as seriously. Drives me batty. Gluten-free is our drug. We don’t do it by choice. I know we don’t “own” gluten-free, but I liked it a lot better when it seemed that we did. Still waiting for one. Totally kidding. I could name a hundred positive moments. From the family support (the amazing Mrs. Dude and the Dudettes), to connecting with so many other celiacs, to the new friendships I’ve made, to being a voice. I love it all. But just for the record, I still hate the disease. Do you have a favorite reader moment? I’ve gotten over 17,000 comments on my blog in the 2+ years it’s been up and running. I so appreciate every single one of them. To pick one out would be impossible. Although I do remember the first email I received from someone baring their celiac soul. Mrs. Dude and I looked at each other and said “Here we go.” And the emails keep on coming in. My only regret is that I don’t have the time to answer every single one of them. But I do my best. Why do you think it’s important for more men to get tested and get tested early? Men? I think it’s important for anyone to get tested if they think they might have issues. I know it seems like a lot more women get diagnosed. I think that’s just because a lot of men are pig-headed…me included. Every night, I’d lie in bed complaining that my stomach hurt. And every night, Mrs. Dude would implore me to go to the doctor. And every night, I’d say “Oh…I’m fine”. But after about a year of this, and losing 15 pounds on an already pretty slim frame, I decided to go to a recommended GI in Princeton, NJ. What advice do you have for new gluten free-ers & people on the fence? There is no fence. You are either gluten-free or you’re not. And once you decide to go gluten-free, don’t live in fear. There is so much misinformation out there, it’s astounding. It was a tough transition though, accentuated by the fact that I was 100% gluten-free (never cheated, never will) but I was not feeling better. Going gluten free became easier but it took two years before I could feel myself begin to heal. And coincidentally, that was about the same time I stopped buying the gluten-free processed crap and focused on more natural foods. What seems almost impossible when you are first diagnosed becomes difficult; moves up to bearable and eventually it becomes manageable. It never quite becomes easy but it does become something you can manage on a day to day basis. But during this time, DO NOT CHEAT. Not even once. You are done having gluten. Forever. The sooner you can accept it, the better. You don’t have to love the idea. I don’t know one celiac who does. But you do need to accept it and embrace it because you have no choice. How do you deal with friends? As far as friends are concerned, it would be nice if all of my friends were as knowledgeable about celiac disease as I was. But I certainly do not expect it. Why should I? They don’t have the disease…I do. Some of my friends get quite stressed having me over for dinner…understandably so. Not only do they need to worry about the food, but the cross-contamination as well. My message to them is this: I’m ok bringing my own food. Honestly. It’s not worth you stressing about. I’m there for the company. And the vodka. How do you feel about ‘gluten removed’ beer? I’m having one right now. Wait…running to the bathroom. Ok…I’m back. Look I think the gluten-removed beers are pure crap. Is it possible they’re safe for celiacs. Yeah…I guess so, though all of the stories shared on my blog (http://glutendude.com/gluten/should-celiacs-drink-omission-beer/) certainly don’t back that up. Here’s the thing: there are some phenomenal truly gluten free beers on the market right now. We have New Planet, Harvester Brewing, Glutenberg and more. If you are going to make a beer safe for celiacs, than make it safe for celiacs. End of story. Would you be willing to pose in a gluten free speedo for Hoda to raise awareness for Celiac Awareness Month in a hot hunks of gluten free calendar? I’d be happy to take one for the team. Although Hoda doesn’t think gluten-free men are “real” men so I’m not sure if she’d have me. Well, I think Hoda will have you Dude, plus, I already have your speedo picked out and ready to go. 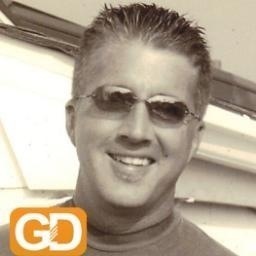 I know two things for sure about GlutenDude: he loves his family & he’s passionate about Celiac Disease. So love him or hate him, what you see is what you get.